A functional multi-purpose aluminium, universal, articulated ladder. 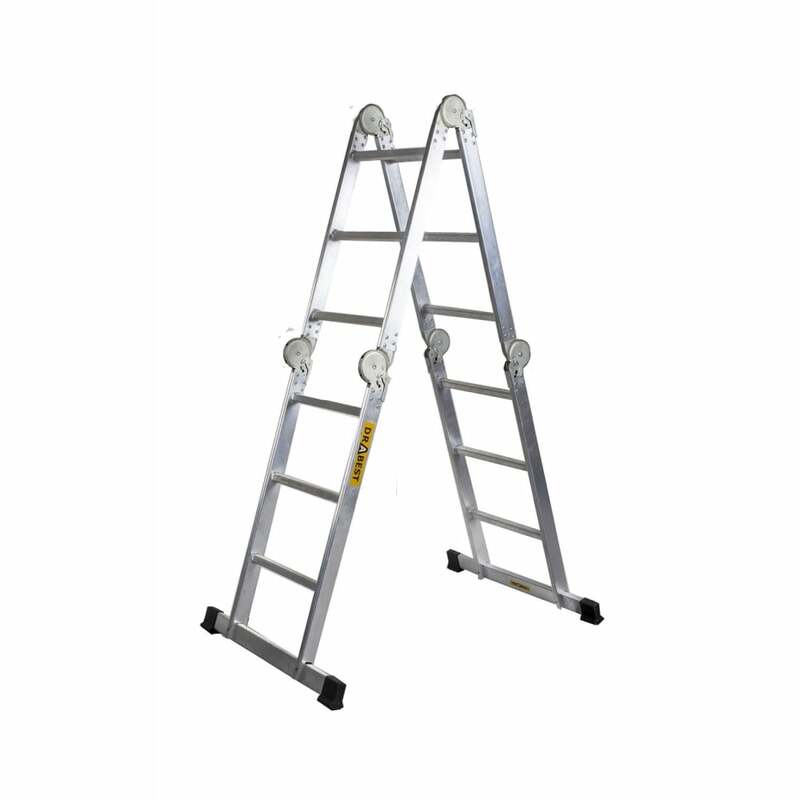 Easy to convert from a work platform to a single ladder or double sided step ladder. Stable and strong stringers with a 25 x 58mm profile. Non slip ribbed rungs increase safety. Equipped with twin stabilisers for added stability. Compact when folded for easy transporting and storage.